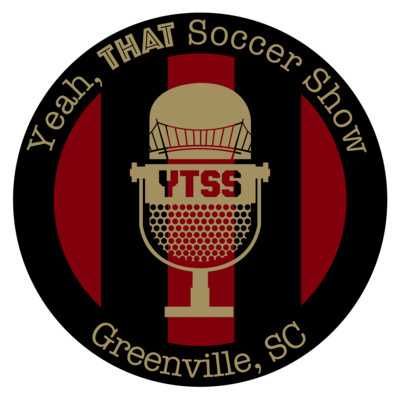 Episode 040 - YTSS Turns ONE!!! Episode 036 - We win! We RIOT! And where? Episode 033 - A New Soccer Pyramid? Episode 030 - Soccer for Good! Episode 026 - Playoff Bound? Episode 021 - CHOO CHOO! We are breaking down the World Cup group by group! Episode 020 - The Better Team? Episode 018 - Uno. Dos. Episode 017 - WE WON BABY!!!! 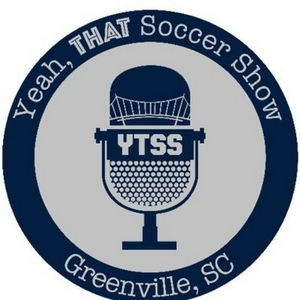 In this episode, we break down all the happenings from Greenville FC's first home match, a 2-1 defeat at the hands of Inter Nashville. In this episode, we preview GVL FC's first ever home match against Inter Nashville FC with our friend Ben Goshorn, The Soccer Goose! Episode 013 - Win the Half! In this episode of the podcast, we break down Greenville FC's first ever match (a 3-1 loss on the road to Georgia Revolution FC). Episode 012 - IT'S GAME WEEK!!! In this episode of the show, we preview our matchup with Georgia Revolution with the broadcast team for the Revs. In this episode of the show, we break down the roster releases ahead of the Season Launch event for the inaugural season. Episode 007 - WE HAVE A COACH!!! Episode 006 - Let's be Am-Bros! In this week's episode, we go LIVE to 13 Stripes Brewery in Taylors to chat with some members of the Mill Town Operatives at their first official meet up to see what they are excited for this season! On this episode, we talk to KJ, Blake, and Chris, founding members of the Mill Town Operatives, Greenville FC's OFFICIAL Supporter's Group.